Walter Hoye is a member of Equal Rights Institute’s Board of Advisors. Walter B. Hoye II is both Founder and President of the Issues4Life Foundation, the California Civil Rights Foundation, Founder of the Frederick Douglass Foundation of California, Core Member of the National Black Pro-Life Coalition, a Board Member of The Morning Center which was founded to provide free full-service maternity care for women in urban and under-served areas, a published author of the book Leadership from the IN|SIDE Out and serves as a leadership consultant. God used the premature birth (six months, 2.1 pounds) of his son to teach him that the fetus is a person, a living, breathing human being. As a young man Walter played football at Michigan State University where he graduated with a Bachelor’s and Master’s degree in Sociology in 1980. In 1983 he graduated from the United States International University, now Alliant International University, with a Master’s degree in Business Administration. Already this year, Walter has addressed the impact of abortion in Black America at the Future Conference in La Mesa, Calfornia, wrapped up the first year of worship services in the White House in Washington, D.C. where he preached from the subject: “How To Contend For The Faith!” (Jude 3,22,23), completed a video project with 2016 Republican Presidential Candidate Carly Fiorina denouncing Planned Parenthood, hosted 2016 Republican Presidential Candidate Ben Carson in Hayward, California and is corresponding with 2016 Republican Presidential Candidate Mike Huckabee regarding the impact of abortion on Black American leadership. 2015 is not over yet and there is more to come. In 2014 Walter and his wife Lori were the recipients of both the Students for Life of America’s West Coast Conference Defender of Life Award and the Bioethics Defense Fund’s Witnesses for Life award. In 2013 Walter was recognized by Chicago’s Pro-Life Pro-Family Coalition for his Strong Stand for Life and Family. In 2012 Walter was invited by Congressman Allen West to address the “Economic Impact of Abortion” on the Hill in Washington, D.C. In 2011 Walter received the “Hero at Heart” Award from the Life Issues Institute to recognize outstanding courage on behalf of innocent life. Walter was also interviewed on Life Issues Institute’s Emmy Award winning television program, Facing Life Head-On. Graciously the Family Research Council recognized Walter Hoye with the 2009 “John Wise Award“. In 2008, Walter and his wife Lori were the recipients of the 4th Annual Walk for Life West Coast’s St. Gianna Molla Award for “Courage Under fire” in the Pro-Life movement. Walter’s work in the Pro-Life community was the subject Chuck Colson’s Martin Luther King, Jr.’s Day BreakPoint. As you may remember, Walter was unjustly jailed for his peaceful defense of the unborn on a sidewalk outside an abortion clinic in Oakland, California. He served as an incredible leader for the cause of the unborn despite the personal costs. 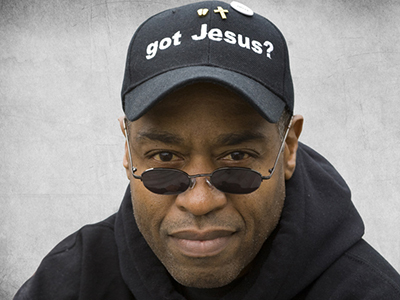 His seven-part series entitled “Betrayal Trauma” detailing the four reasons why Black American leadership rejects the Pro-Life movement has gone viral and is the subject of many of his speaking engagements.